The TSX has rebounded nicely since a disastrous 4th quarter in 2018, but it still hasn’t completely recovered. The end result of all of this is a plethora of Canadian growth companies that still remain significantly undervalued. With our Questrade offer code, get $50 in free commissions and start buying these stocks for free. I’m an avid growth investor. In fact, besides a few dividend companies I own like Fortis and TD Bank, my portfolio is completely comprised of growth stocks. I made some considerable gains in my investment portfolio in 2018, and now with some extra cash I’m looking to invest in my next growth company. I’ve narrowed the choice down to 3 small cap growth stocks, and I’m going to tell you why they are poised for a very strong 2019. How did I find these stocks? Well, a combination of our screener detecting them and some thorough research of course, all of which I can simply get right here from Stocktrades.ca. As always, feel free to drop me a comment about what you think of them at the bottom of the page. And if you want more information on stocks to buy, keep up with us on Facebook and Twitter. 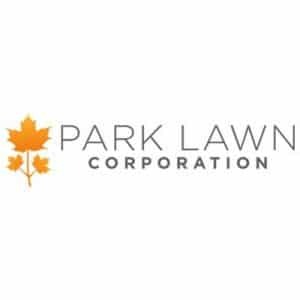 Park Lawn is a very interesting company. In fact, when I was first digging through my shortlist of growth companies the thought popped into my head “wow, a landscaping company is listed on the TSX?” However, you’ll quickly find that the company actually doesn’t have anything to do with lawns, or parks. They deal with the deceased. Now as they say, there is only 2 things guaranteed in life. Death and taxes (including capital gains if you don’t buy these stocks in a registered account!) So if a company is able to capture a strong market share of an industry that will seemingly never cease to bring clients, it’s something you want to take a second look at. Death is something we often don’t plan for, and also something we’re willing to pay a little bit more for to make sure our loved ones rest in peace. Park Lawn can also take advantage of the fact that death is not something that will ever change due to economic conditions. This is why the company’s business model is so profitable. The thing I particularly like about Park Lawn is its current acquisition strategy and rapid organic growth. The company is growing at a crazy pace, and in the first 9 months of 2018 they acquired 48 cemeteries, 37 funeral homes and 11 crematoria. With over 150 locations today, it is a far cry from the 9 total they started with. Analysts expect the company to grow at a rapid pace over the next year. Both EPS and sales growth are expected to be north of 30%, and with a 1 year target estimate of $29.15, this indicates almost 20% upside. The only thing I’d be concerned about today is the company’s low dividend yield and high payout ratio. Park Lawn is currently paying out at 116.92%, and it may somewhat limit their ability to grow. 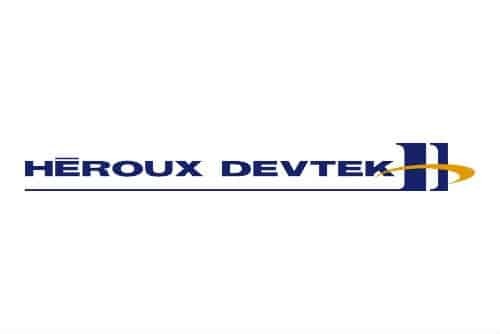 Heroux Devtek is quietly one of the world leaders in an industry that people probably don’t even pay attention to. Aerospace landing gear manufacturing. The one thing that immediately caught my eye about Heroux is the fact that they are a key producer for one client that you know is willing to spend. The United States military. Donald Trump has came out and said military spending will go up for 2019, which can only end up benefiting the the landing gear manufacturer, unless they were to lose the business. But considering they just signed a contract to produce landing gear for the C-130J Super Hercules aircraft in 2020, I’m not sure that will be the case. Heroux is probably my least favorite of the three companies on this list, simply because it really hasn’t been able to perform up to its potential in terms of earnings and sales. The company places too much reliance on the defensive sector, and they have stated as much. However, they are trying to grow commercially, and this is a stock you’ve got to keep a real close eye on because once they get their ducks in a row, the stock does have the potential to really climb. Analysts are predicting a pretty big year from Heroux, as EPS growth rate predictions are upwards of 35% and sales just over 22%. Due to generally disappointing investors come earnings, the stock is priced quite fair, with a Forward P/E of 14.12, a price to sales of 1.17 and a price to book of 1.21. With a 5 year PEG ratio of 0.84 and a 1 year target estimate of $17.64, analysts give the company 40% upside for 2019. Goeasy has been a pretty popular stock here at Stocktrades. The stock was placed on our Bull list on December 27th, and subsequently rewarded members who had purchased it with 33% gains in just 11 days. We removed the stock from our Bull list simply due to the fact it was heading into overbought territory, but that still doesn’t mean the stock isn’t an excellent option for long term investors looking to increase their exposure to the Canadian financial sector. GoEasy carries with it the general stigma of alternative lenders. I mean, the company’s EasyHome division allows you to purchase a Playstation 4 for $19 dollars a week. For 104 weeks. As investors, we’re probably wired mentally to avoid purchases like this, and as a result may avoid investments in companies like this as we don’t feel people are willing to spend with them. But the thing is, GoEasy’s business model works. The company has grown same store sales growth for 34 straight quarters and posted positive net income for 69 straight quarters. I’m not one to judge people on how they spend their money. No matter how ludicrous paying over $1900 dollars for a electronic that you can grab from Costco for $299 seems, it’s pretty clear that it’s working. As an investor, it is my job to determine if a company has the tools to get me a positive ROI. And GoEasy offers just that. The company plans to add 20-40 new locations by 2020 and its goal is to increase its loan portfolio from $825 million to $1.3 billion over the next 2 years. GoEasy’s revenue from interest has increased 33% year over year, and analysts predict the company is going to experience huge growth in 2019, with EPS growth rates at over 50% and sales at just over 22%. The stock is still up 30% in 2019, so you’re not going to get the slam dunk upside like you would with some other growth stocks. 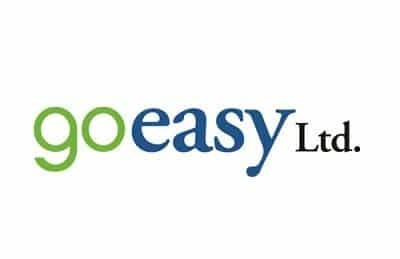 With a 1 year price estimate of $44.53, GoEasy only has 6.6% upside in 2019 according to analysts. However, I believe GoEasy is more of a long term play and at its current price levels, I’m still buying and holding this one for the long term. The company has over 5 years of consistent earnings and sales growth, so it’s shown it can give investors what they are expecting. Want more great stocks like these? Get started with a Stocktrades Premium membership, absolutely free.